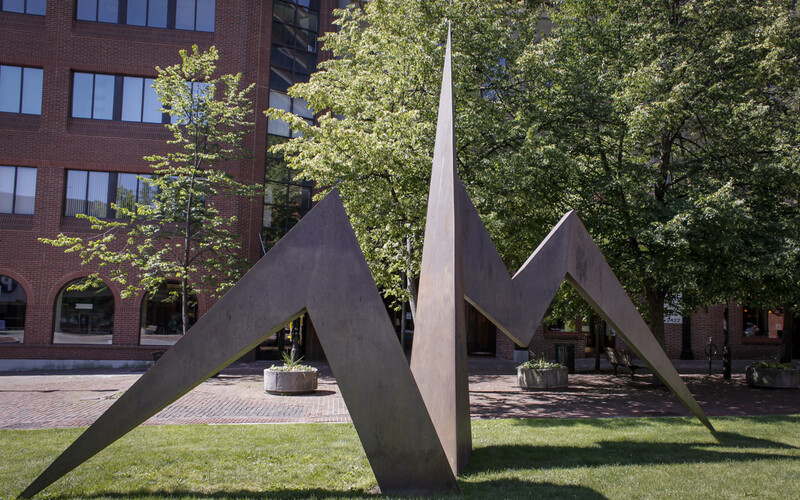 The sculpture Michael, by John Raimondi, was installed at Canal Square, now known as One City Center Plaza, in May 1974. 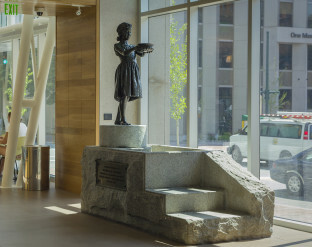 Through the collective efforts of the Maine Arts Commission, Portland Museum of Art, Portland School of Art (now Maine College of Art), Canal Bank and a grant from the NEA, Raimondi was named an artist-in-residence at the Portland school system’s Program Prep, a school for at-risk students. He worked with the students for the better part of a year, designing, fabricating and installing Michael. Raimondi arrived with a sheaf of drawings, a work plan and an idea. He told the students: “You will work and I will work, you will learn and I will learn, you will grow and I will grow, and together we will find out some things we can’t find in a text book.” The students spent half of the school day working in the studio workshop in the Program Prep building, a.k.a. Walker Manual Building. They learned to control a high precision cutting torch along the surface of a 1/2 ton sheet of steel to the exact specification of an architectural drawing. They were taught that the inside bead of their weld was as important as the outside. 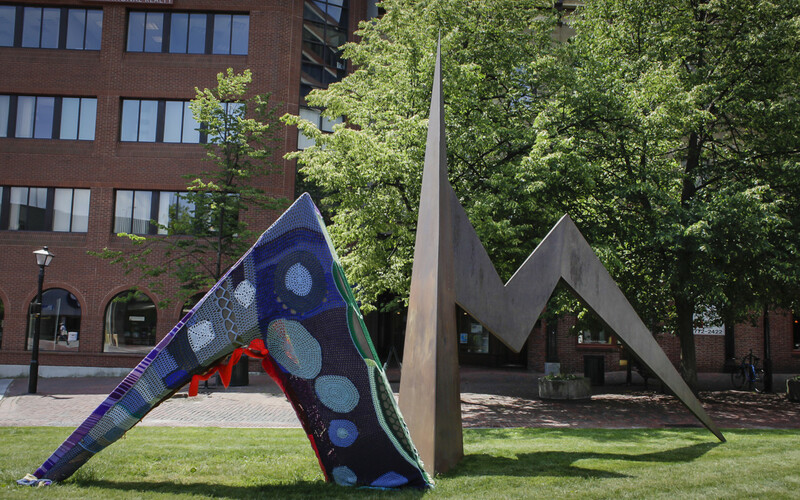 When the large pieces were completed, the students and John brought the sections to Canal Square, fit them together, and made the final welds on site to complete the installation. 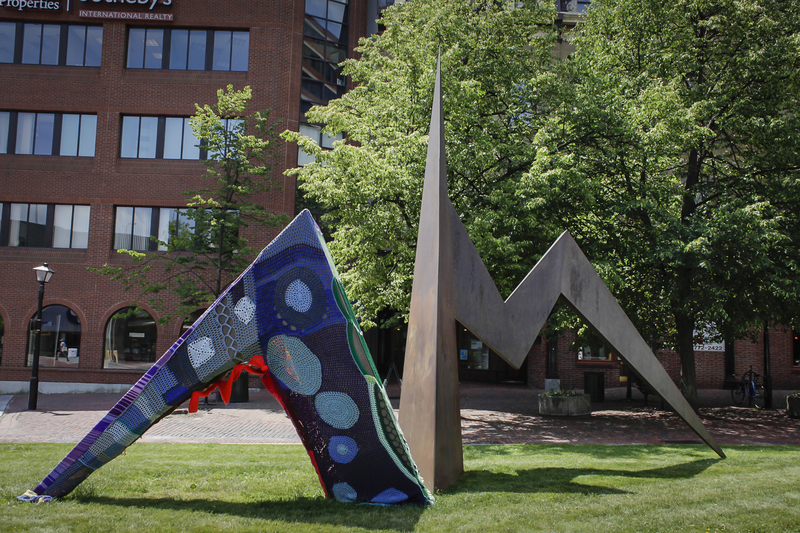 The sculptures in this series are named after the people in John’s life who inspired him. Michael was his best friend in the army, and in college John shared a house with Michael and his wife. When John developed a visual vocabulary for Michael, he drew inspiration from the letter M, the Archangel Michael – the angel of courage, strength and integrity- and the images of wings, birds, fluidity, and flight. As you look at Michael, you see the tension between the downward and upward movement, between the wedges of the voids and angles of the mass. As the piece moves out from the center the arms reach out and touch the ground with a point, in a potential moment of taking off. 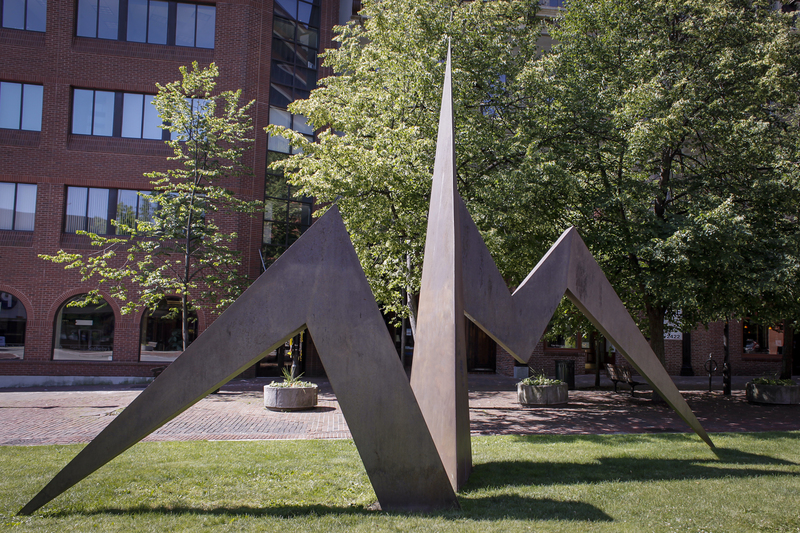 John Raimondi is a contemporary American sculptor of international distinction and renown. During the 1970s, Raimondi’s work consisted of strong angular lines and planes known as his Geometric Minimalism series. Some of the elements that are emphasized in this early work are repetition, emphasis on negative space around forms, terminating points, and varying appearance from different viewing points. 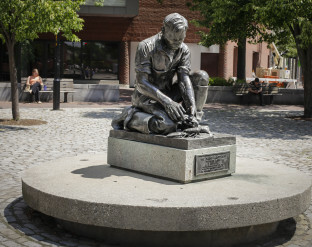 Raimondi studied at the Portland School of Fine and Applied Art (now the Maine College of Art) with Norman Therrien, the sculptor who cast The Maine Lobsterman, sited right across Temple Street from Michael. He also studied at Massachusetts College of Art and Harvard University. He lives and works in Massachusetts and Florida. 1889-1891. Cast 1890. 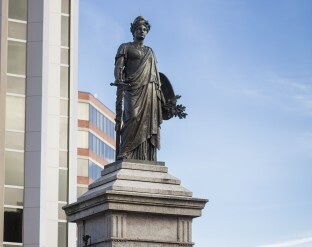 Dedicated October 28, 1891.